Here is a mapping software company owned by Nokia which was formerly known as NAVTEQ. They aim to make the world's most accurate maps for daily life to be used in many different situations and locations. They aim to provide detailed information with reference to locations and Here is always making changes to the mapping which typically include 2.7 million changes to the maps each day. Their aim is to make maps accessible to everyone in an easy to read, easy to understand format. The Here maps can help you get to your destination on time. Plus Here can tell you where facilities are including petrol stations, parking spaces, electric vehicle charging stations and speed camera locations. The real-time Traffic rerouting capabilities of the Here Mapping Software can also help you to avoid delays during your journey. 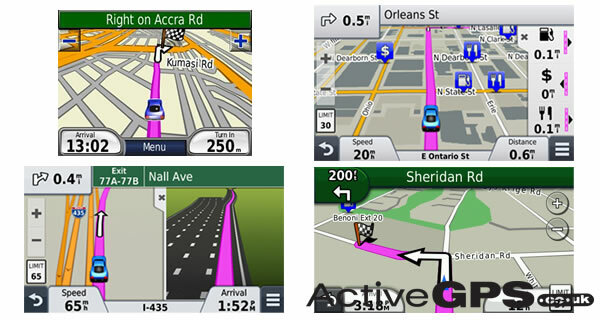 Here maps is used by many manufacturers including many factory-fit navigation systems and was the navigaten million cars in 2013. Companies employing here mapping software are BMW, Garmin, Snooper, Toyota, Yahoo and many more. Devices that the maps are compatible with include mobile devices, driver-navigation systems and location intelligence to enterprises. These maps will help the user get to their destination and make journeys whether on-foot, driving in a vehicle or just planning a route on the Web. The company Here maps has teams of drivers that help to make the worldwide mapping software for 196 countries around the world; 6,000 people are employed across 55 countries. Here make the mapping software for Garmin and Snooper sat nav systems providing voice-guidance navigation in 99 countries and the company provides live traffic services in 42 countries. They also develop in door maps for 90,000 buildings in 72 countries. The latest developments at Here have been to make 3D mapping. Here maps are using rotating LIDAR, panoramic and high-resolution cameras and high-precision positioning systems. They are thus making maps that are 100 times more detailed than other commercial systems. They currently have 3D maps of 25 cities. 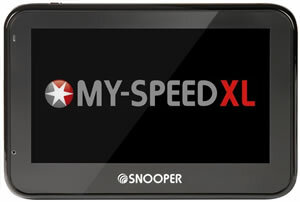 The HERE speed limit database is utilised by the Snooper MY-SPEED XL and the database is updated once per year.